These brightly colored ID tags will help you identify you belonging at a glance. 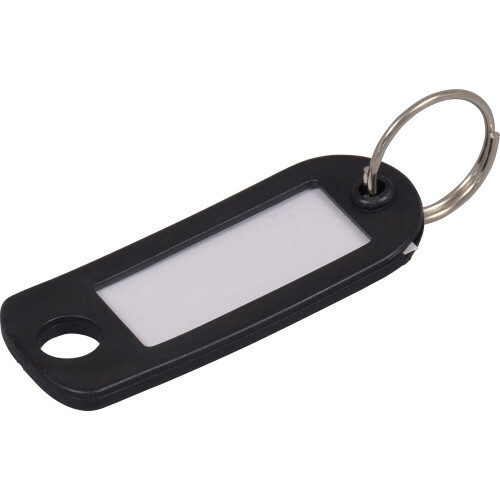 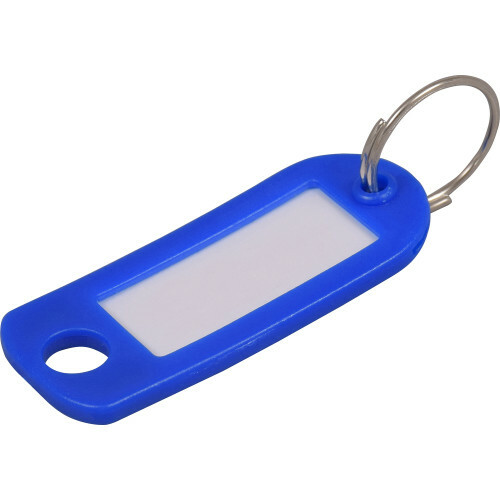 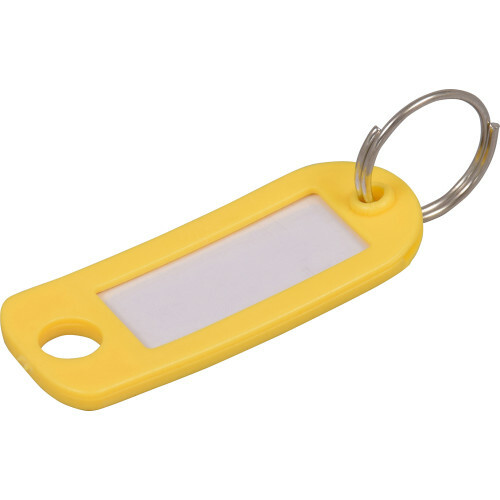 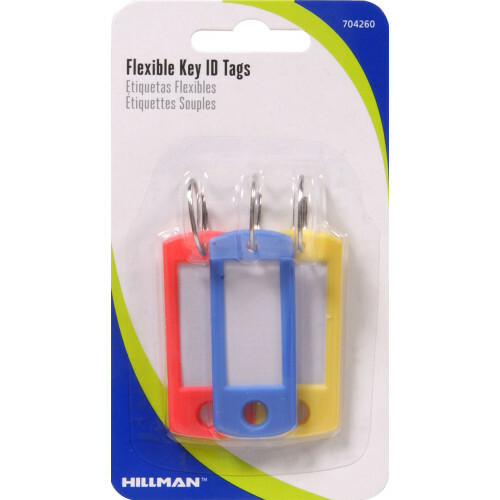 Whether used with keys or on luggage, these ID tags are a durable way to label. A plastic overlay protects the label from moisture and the flexible plastic frames won't crack or fade over time and use.